The powerhouse team of Brian Michael Bendis and David Finch take on Earths Mightiest Heroes! It begins with the return of a team member thought dead - and by the time its over, everything you know about the Avengers will have changed! The event that rocked the entirety of the Marvel Universe and set the stage for New Avengers is presented here for the first time as a deluxe, oversize hardcover with all-new extras! 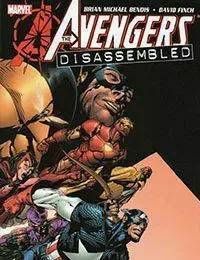 Collects AVENGERS #500-503 and the AVENGERS FINALE.